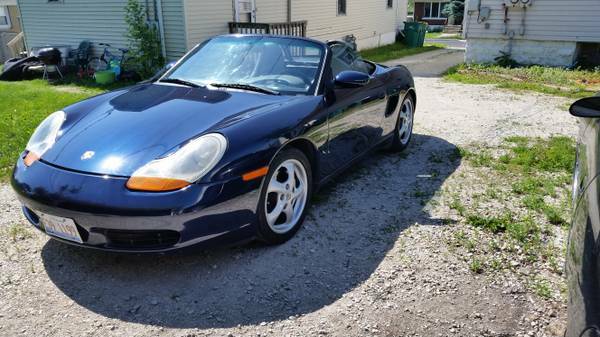 This is an ad for a Boxster in Joliet, IL. You think this car is stolen, or what? If I get Alzheimer's, it will be because I tried to read that. Nothing bad ever happens in Joliet. Surprised the title isn't listed as 'missing'. Is that a body bag hanging out of the trunk? That's why you shouldn't write adds while high on crack! This ad gave me herpes.